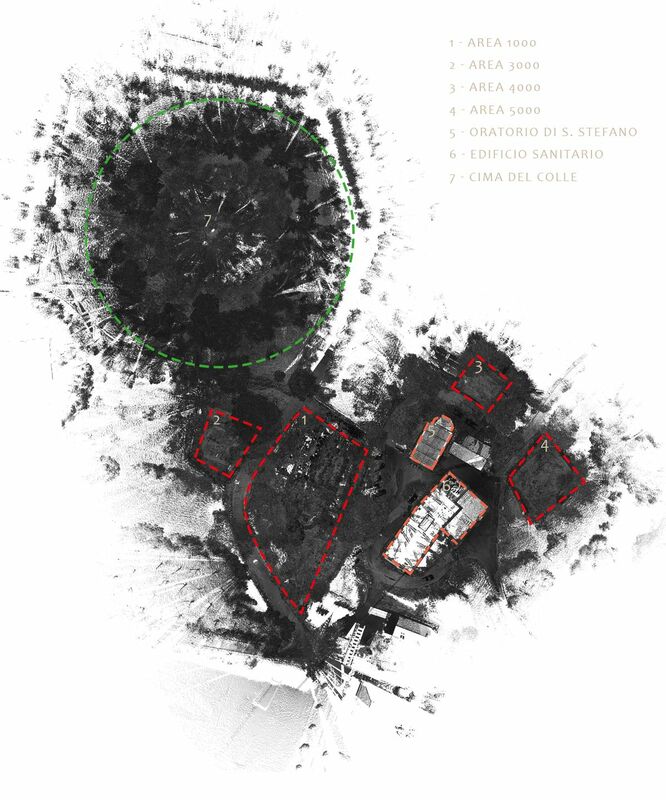 The area in 1000, is the area where are located the structures and graves emerged in no systematic archaeological investigations of the ’60s (Psalms) and 70 (Melucco Vaccaro). The result of this work is a new reading in many ways than Melucco edited by Vaccaro in 1991, with the identification of at least five stages of use from different historical periods. The area was excavated in 2000 in order to investigate an area that was to be placed not far from the facade of the cathedral early medieval. Here, however, the only human activity survey was found to be a sandstone quarry, he turned and soon probably closed in the central centuries of the Middle Ages. The area 3000 (12 x 14 m) was opened south of the old excavations Psalms-Melucco, over the narrow road that leads to the path of the old Cathedral. Sections of land of the southern limits of the area in 1000, once cleaned, they suggested a great complexity of layers and structures, which had undoubtedly continue south. In addition, the article in the De Angelis D’Ossat 1978 placed in this area some structures, attributed by the scholar the defensive wall of the citadel. The area 4000 is located west of the seventeenth-century Oratory of St. Stephen. Here magnetometry indicated the presence of an imposing structure with trend partially curvilinear. In addition, investigations conducted by the team led by M. Armandi, the Crypt of the said oratory, warned of the potential information that could have this. Finally, from this area came some fragments of medieval liturgical furnishings, found reused in a nearby wall. The 5000 area was opened in the most northern of the hill, where there is a large lawn, which is located at the edge of a well. For this test excavation we have been fundamental to the information provided by magnetometry and resistivity, which pointed to the presence of buried structures at shallow depth from ground level.